May 2017 has been a relatively quiet month for cruise news, but there have at least been a small handful of interesting snippets. Next month sees the launch of MSC Cruises' next generation ship, MSC Meraviglia, and the cruise line is slowly revealing details about what passengers can expect onboard. The names of two exclusive Cirque du Soleil at Sea shows that premiere on MSC Meraviglia are VIAGGIO and SONOR. These are the first of eight shows that the MSC Cruises and Cirque du Soleil partnership will produce for its fleet of Meraviglia- and Meraviglia-plus-generation ships between 2017 and 2020. With little more to go on than production show logo graphics and the fluffy text in the official press release, it is hard to decipher the premise of the shows. My understanding is VIAGGIO is about an eccentric artist whose masterpiece, a work in progress, eventually becomes real life. 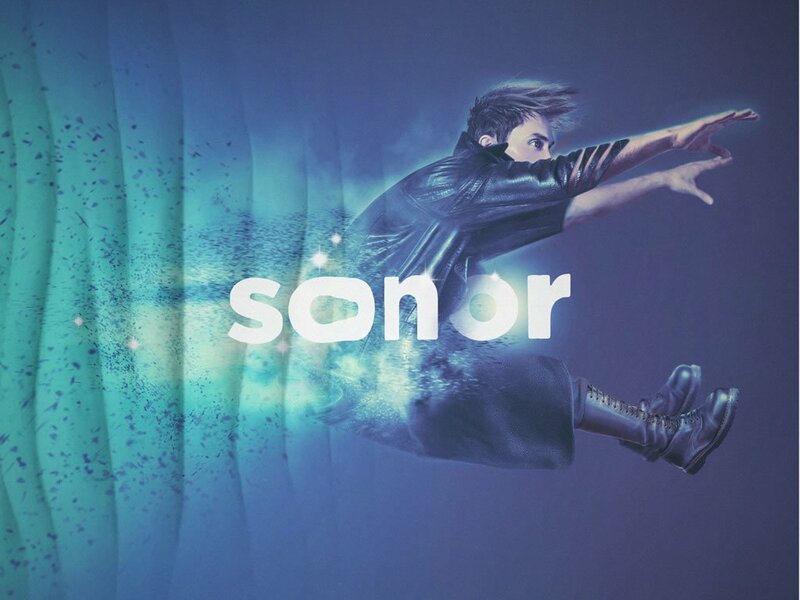 By contrast, SONOR appears to be more about rhythmical music, with performances from dancers, acrobats, and characters. I have seen rehearsal and set design videos, and these look like top quality production shows. I expect these shows will be a huge hit for the cruise line. One alteration to what I understood is that these shows now attract a fee. You need to either book a Dinner & Show experience at €35 (&thickapprox; £31) a head, or a Cocktail & Show experience at €15 (&thickapprox; £13) a head to watch these exclusive performances (no discounts for children). These packages will tie into the shows and will indeed be experiences, with bonus performances, live music, and a creative menu for dinner guests. Expect whimsical dishes designed to trick the senses for the SONAR show (I wonder how this will compare to P&O Cruise's Epicurean and Royal Caribbean's Wonderland?) and colourful dishes for the VIAGGIO show. As for the cocktails, guests can choose from alcoholic or non-alcoholic creations that will also be themed to match the shows. As there are only 413 seats, reservations are mandatory. There will be 120 dinner places available with the remainder available to cocktail experience purchasers. There will be two performances six nights a week with each lasting for 40 minutes. Dinner service starts an hour before, and the cocktail experience starts 30 minutes before the show. Want to see both shows on your cruise? Book both the VIAGGIO and SONOR dinner or cocktail experiences, or mix and match to experience both worlds. Both P&O Cruises and Hurtigruten have revealed new ranges of shore excursions to encourage passengers to see destinations in a new light. My favourites of the new 2017 shore excursion from P&O Cruises include reindeer feeding in Helsinki, touring Dubrovnik by Tuk-Tuk, helicopter sightseeing in Stavanger, traditional cooking in Katakolon, and Stand-Up Paddle Boarding in Bilbao. Other new excursions include a trip to Madrid from Valencia by high-speed train, indoor skydiving in Flam, hiking in Malaga, touring a cider farm in Guernsey, and playing golf on the slopes of Mount Etna, you know, as you do! Hurtigruten will enhance its offer in 2018 with more than 100 unique coastal expedition excursions designed to suit all ages and activity preferences. 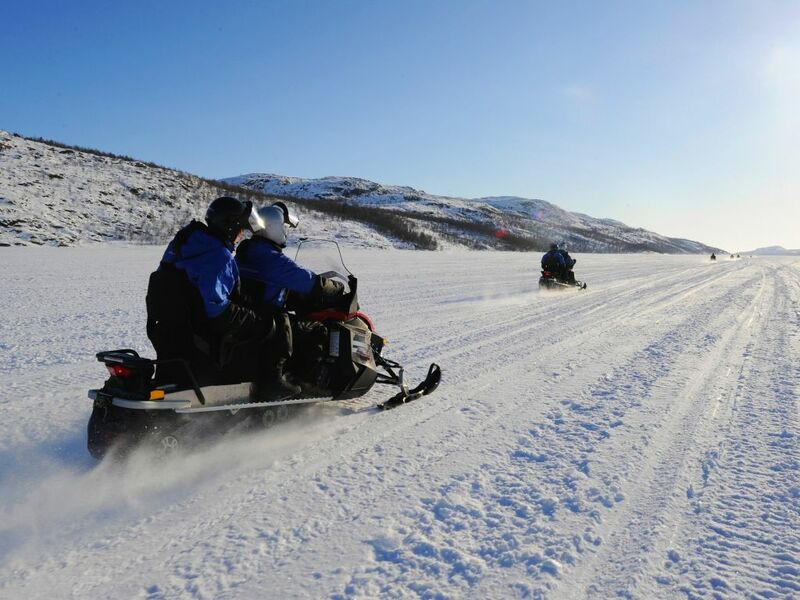 Classic options like the midnight concert in the Arctic Cathedral in Tromsø remain, and are complimented by more adventurous experiences such as dog-sledding with Alaskan Huskies in the mountains outside Kristiansund, or snowmobiling from the port of Mehamn to Kjøllefjord. Other experiences include catching, preparing and eating king crabs; getting close to Norway's second largest glacier; and exploring the world’s most powerful tidal current on a RIB-boat safari. More of the cruise line's ships will also receive expedition teams to help tourists better understand sights, phenomenon, and the wildlife observable along the Norwegian coastline. This surprise announcement from Fred Olsen Cruise Lines sees it turn from an ocean cruise line to an ocean and river cruise line, much like Crystal Cruises, Viking Cruises, and soon, Scenic Cruises. Fred. Olsen River Cruises will take place aboard the 156-passenger river boat, Brabant, between April and November 2018. Itineraries will span five to 25 nights. The ship will be much the same as its ocean counterparts, where English is the main language aboard, all transactions are in Pounds Sterling, and British tastes reflect in the cuisine, customer service, and optional shore excursions. While a curious move, it is also a very sensible one for a cruise line with such loyal clientele. I imagine many existing customers will try the river cruise arm, although one issue I did spot was that some passengers choose Fred Olsen Cruise Lines as they cannot fly, and the new itineraries are all fly-cruise itineraries requiring travel to reach the Danube, Moselle, and Rhine rivers. Perhaps in due course, the company might investigate rail options as an alternative. Itineraries on MSC Bellissima are now on sale for its maiden season. Sister to MSC Meraviglia, MSC Bellissima will follow the same Western Mediterranean itinerary with calls to Genoa, Marseille, Barcelona, Naples, Messina, and Valetta. The maiden voyage is on 24th March 2019. Norwegian Cruise Line has made its inaugural call to Havana in Cuba. Norwegian Sky follows in the footsteps of cruise ships belonging to Royal Caribbean, Carnival Corporation, and MSC Cruises. Carnival Cruise Line has signed an agreement with the Bahamian government to develop a new cruise port facility on Grand Bahama Island. Expect to see a one-mile stretch of beach, restaurants, shops, and other recreational facilities. The port, featuring a pier capable of accommodating two ships simultaneously, is subject to a detailed planning process. Celebrity Constellation entered dry-dock to receive a new Qsine restaurant, a Top Deck Burger Bar, a Rooftop Terrace, RFID door locks, and a revamped shopping area. Top suites will also get a refresh. Construction has begun with the first steel cut at the VARD shipyard for Hapag-Lloyd's first new-build expedition ship, HANSEATIC nature. Two years of hard work follows, with the christening and maiden voyage set for April 2019. Viking River Cruises has recently acquired a 48-passenger vessel, now known as Viking Ra, that will receive a complete renovation ahead of sailing on Nile River cruise tours in March 2018. Norwegian Cruise Line's recently refurbished ship, Norwegian Jade, arrived in Southampton for its summer season. The last time NCL offered itineraries from the UK was back in 2010. Bookings have opened for the inaugural Caribbean cruise season of Holland America Line's ms Nieuw Statendam. The ship is due for delivery on 1st December 2018 and is the second Pinnacle Class ship in the fleet. The ship will home-port at Fort Lauderdale. Carnival Cruise Line celebrated American Craft Beer Week by brewing a one-of-a-kind tropical-flavoured beer served on Carnival Vista. The keel laying ceremony for Norwegian Bliss took place at Meyer Werft's shipyard in Papenburg, Germany. Due for delivery in April 2018, the ship will head first serve Alaska. Keels were also laid for Crystal Debussy and Crystal Ravel at The MV Werften shipyard in Wismar, Germany. The all-balcony, all-suite river cruise boats, due in spring 2018, represent the next step in Crystal Cruises' expansion into river cruising. The steel-cutting ceremony for Ponant's Le Bougainville and for Le Dumont-d’Urville took place earlier this month. The third and fourth new build ships in the order (after Le Lapérouse and Le Champlain) are due to be delivered in 2019. Three new series of ITV documentary ‘The Cruise’ will be filmed this yea. Cameras will follow crew on Royal Princess on a summer Mediterranean cruise, then on Star Princess in Alaska, and finally back on Royal Princess as the ship commences its Caribbean season.